What Are Amino Acids & What Do They Mean For Cannabis Grows? 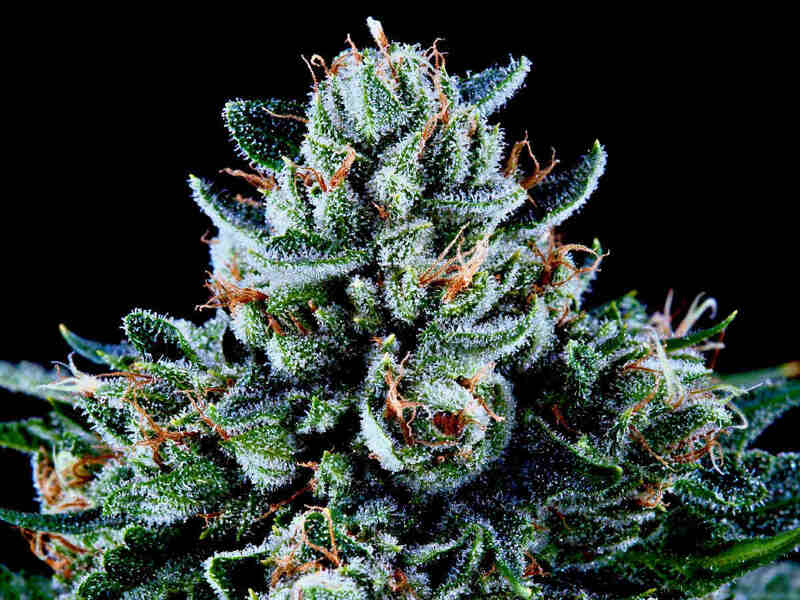 This delicious bud ate amino acids and bulked up all gooey and phat. Bodybuilders, athletes and personal trainers know that amino acids are the building blocks for protein that boost muscle tissue. Of the 20 amino acids known to science, only five are synthesized in the human body. The remaining 15 come from external sources such as food or supplements. Inferior diets or poor health can lead to amino acid deficiency. When you’re working out hard, especially weight training or with resistance exercise, your body goes into stress and recovery mode. You need amino acids to activate, build and repair muscle. Amino acid supplements fill the gap between what your body can do for itself and what exercise is pushing it to do. So how do amino acids benefit marijuana, and if they did, how could amino acids best be fed to your plants? 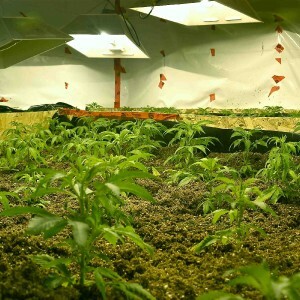 Marijuana growth and yield is supported by amino acids, which are crucial to the quality, value and size of your harvests and the health of your plants. Amino acids are absorbed by roots, by root-zone-beneficial microbes that protect and enhance roots, and by leaves. They are crucial to protein synthesis and decoding the genetic instructions that help plants transition from grow phase to bloom phase, and to fuel metabolic processes essential to floral growth. In gardening products that contain amino acids, the aminos are usually present in an inferior form called D-enantiomer. The acid-digestion process used to create D-amino acids destroys some specific amino acids to the point at which they’re totally unavailable to plants. The ones it doesn’t destroy are difficult if not impossible for plants to absorb and use. These hydroponics products lack the most plant-friendly form of aminos and often provide the full complement of amino acids. The biologically active L-enantiomer form of amino acids is far superior to the D-amino acids. L-form aminos must be sourced using enzymatic hydrolysis to create amino acids that are water-soluble and immediately absorbable via roots and foliar feeding. When L-amino acids are provided to plants, it relieves them of the burden of synthesizing aminos from nitrates. This relief frees up energy for floral and resin production. Because L-form amino acids can be absorbed by beneficial microbe colonies that bond with roots, amino acid supplementation benefits increase when you use root-zone-beneficial microbes products such as Voodoo Juice, Piranha and Tarantula from Advanced Nutrients. Amino acids are channeled into the newest plant tissues — and consequently, the most crucial of these forming tissues are new flowers. Alanine, arginine, aspartic acid, cysteine, glutamic acid, glutamine, glycine, histidine, hydroxyproline, isoleucine, leucine, lysine, methionine, phenylalanine, proline, serine, threonine, tryptophan, tyrosine and valine. Amino acids are precursors to auxins, which are hormonal compounds crucial to plant functions including floral development, branching, root growth and photoperiod response. 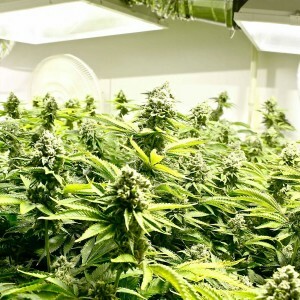 When auxins are optimally produced and properly distributed throughout marijuana plants, their metabolic processes are channeled more toward bud growth than foliage growth. Within Big Bud, the complex enzymatic hydrolysis process delivers the stress-busting amino acid cysteine to marijuana plants. Cysteine is part of your marijuana plants’ biotic chain that assists the antioxidant glutathione, and it contains valuable sulfur, which is essential to floral development and ripening, while antioxidants such as glutathione help your plants deal with oxidative stress from high-intensity lighting, added carbon dioxide in grow-room air, and crop-revving hydroponics nutrients programs. In humans, N-acetyl-L-cysteine is a liver cleanser that helps our bodies deal with toxins and stress. 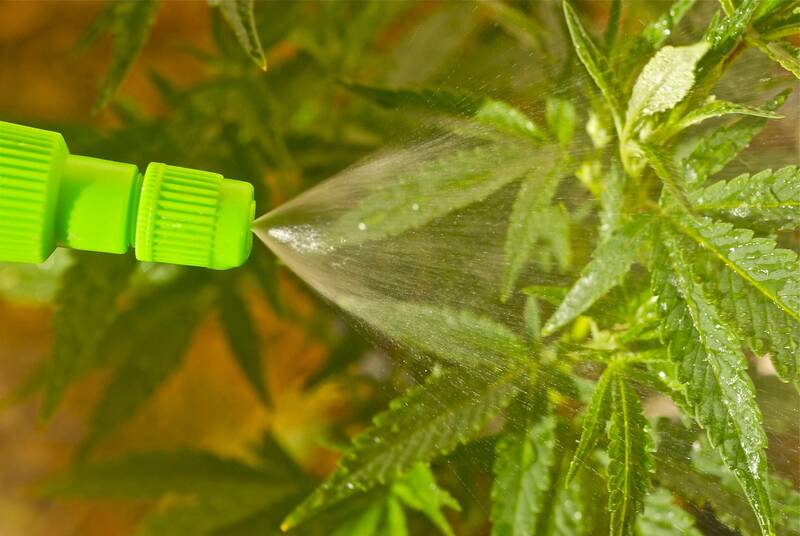 In the marijuana garden, cysteine and amino acids also help your plants deal with toxins and stress. It took a lot of time and effort for the R & D team at Advanced Nutrients to figure out how to source bioactive amino acids and how to blend them into hydroponics supplements. Most bloom boosters have only phosphorus and potassium, and they have them in the wrong forms and ratios. Big Bud gives you the right P/K configuration, along with all 20 L-form amino acids. This is the science behind Big Bud giving you larger, better-developed buds that have higher market value.